Inukshuk (stone marker) above the town of Iqaluit, Nunavut, Canada. 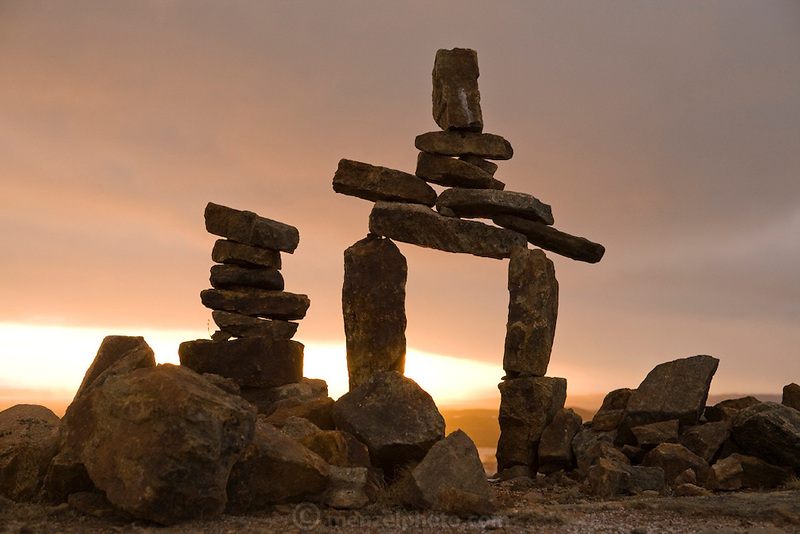 An inukshuk is a stone landmark used as a milestone or directional marker by the Inuit of the Canadian Arctic. The Arctic Circle, dominated by permafrost, has few natural landmarks and thus the inukshuk was central to navigation across the barren tundra.